Cookies are small data files that are sent to the user's computer, mobile phone or other access device when you visit a web page and that allow you to obtain information related to your browsing or a co de that allows you to uniquely identify the user. The website www.richvaleresorts.com uses session cookies and/or persistent cookies that, in turn, can be your own and/or third party cookies. Techniques: allow the user to navigate the use of different options or services that exist in it, for example, control traffic and data communication, identify the session, acc ess restricted access parts, use security elements during navigation, store contents. Personalization: they allow the user to access the service with some predefined general characteristics based on a series of criteria in the user's terminal, such as rememberin g video playback preferences. Third party cookies: Those administrated by service providers outside MB BENALMADENA, S.L.U. In the case of Google Analytics Cookies, the opt-out can be done through the .  The user must bear in mind that some features of the contents of the Website www.richvaleresorts.com are only available if the installation of cookies in your browser is allowed. If you decide not to accept or block certain Cookies (depending on their purpose), this may affect, in whole or in part, the normal operation of the Website or prevent access to some services of the same. MB BENALMADENA, S.L.U can modify this Cookies Policy based on new legislative or regulatory requirements, or with the purpose of adapting this policy to the instructions issued by The Information Commissioner's Office.